I present you today with a brand new single from the Canadians Electric Youth. 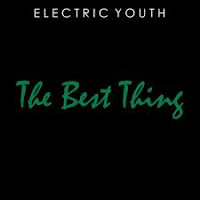 'The Best Thing' is a mix of retro pop, glittering synths and mature intimate vocals. You may be familiar with these guys from a song they did in the hit movie Drive - A Real Hero. Well on the back of their success with that song they're out to prove that they're in it for the long run and with tracks like this I don't doubt them.